Progress..... 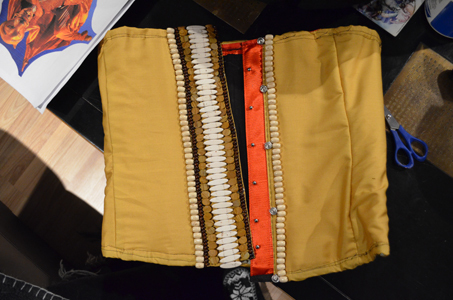 I covered an existing corset I had with the same silk as the collar, then added a flap of fabric and some snaps to hide the front closures. 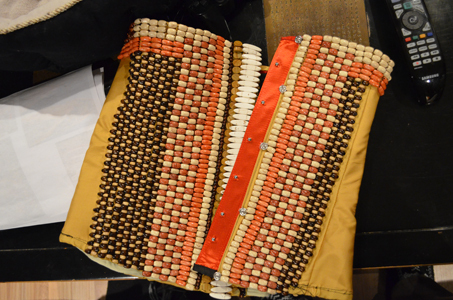 The musical corsets appear to only have a back closure. Since I don't have a professional dresser to put me in my costume each time, I chose this method to make it easier to get on and off as required. 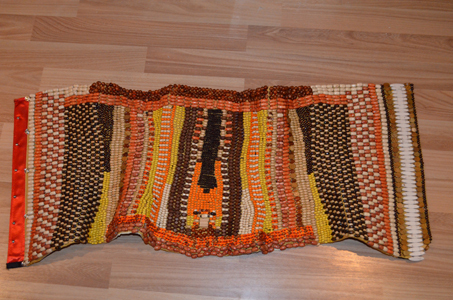 I started with the front middle row, then added beads to each side for balance. As you can see, towards the end, I was nearly out of beads... so you can see the lower spine area has a real mish-mash of beads. 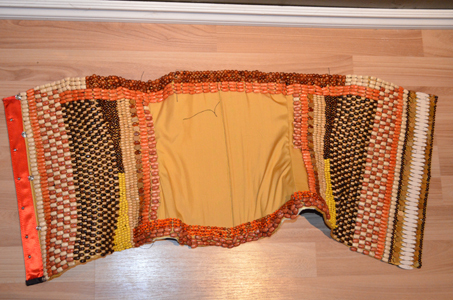 I figured it was safe since the back is almost entirely covered with the silk drape. 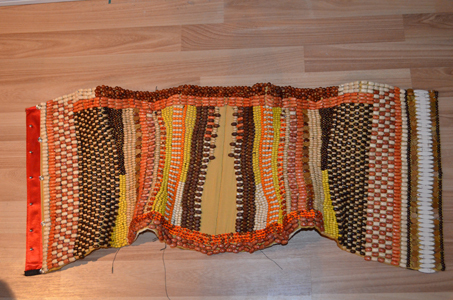 There are OVER 4600 beads to the collar and corset combined!